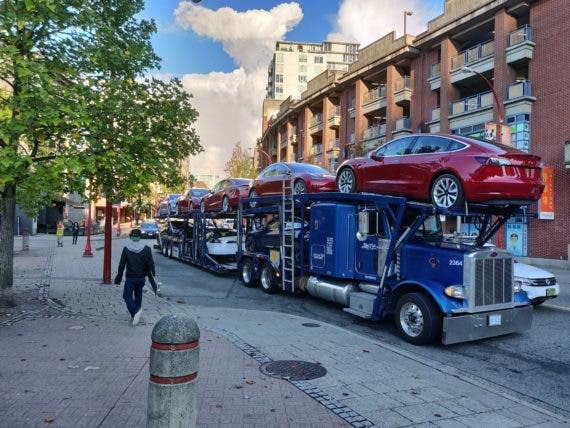 One of CleanTechnica’s readers recently spotted a truck full of Tesla Model 3s headed for one of the Vancouver locations, quashing rumors that the company is trying to give U.S. buyers a chance to take advantage of the tax credit before it phases out after 2018. The delivery stickers on the cars were the clincher, which confirmed that one of three Tesla Vancouver locations was the final destination. It’s a significant piece of news because deliveries to Canada were sparse and thought to be non-existent after Tesla hit the 200,000 car sales mark in the U.S., which trigged the tax credit phase-out. One delivery truck with a few Model 3 cars might not be an indication that things are going to improve on a steady basis, but Tesla needs to start preparing for out-of-country deliveries for the Model 3. There are already plans to take it to Europe, Hong Kong, Australia and New Zealand, if the recent unveiling events are anything to go by. As Model 3 production heads towards 8,000 cars a week, which analysts from both Worm Capital and UBS independently confirmed was possible without significant CapEx requirement, Tesla will be forced to start allocating deliveries to markets where reservations came in strong. Those are the potentially the best markets for the Model 3, and the gradual production ramp is intended to support overseas growth. With the Chinese Gigafactory (GF3) reportedly slated to build Model Y rather than Model 3, Tesla will be looking at more capacity in the United States in the short term. Their medium-term goal is 10,000 cars a week, but that only gives them about half a million Model 3s a year. 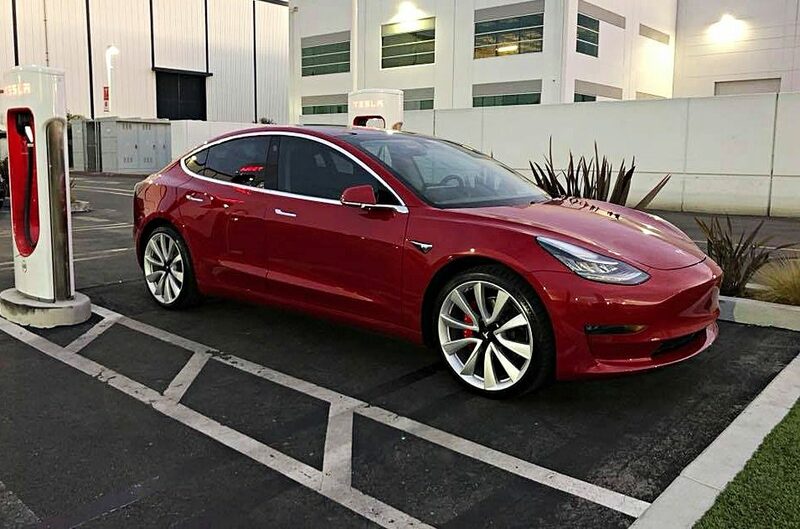 The car is already the #1 revenue earner and #5 best-selling car in the U.S., but right now the sales numbers are linked to how many reservation holders pay the remaining amount to actually receive their Model 3. That means maintaining a delicate balance between meeting sustained demand in the U.S. and entering new markets in a sustainable manner. If their requirement suddenly surges over 500,000 cars a year, Tesla could experience another spate of delayed deliveries that isn’t going to go down well with buyers or investors. Of course, they could allocate a part of the Shanghai factory’s capacity to Model 3 if that’s the case, but then it may only serve to switch the delayed deliveries from one model to another. Neither of those is a desirable outcome.